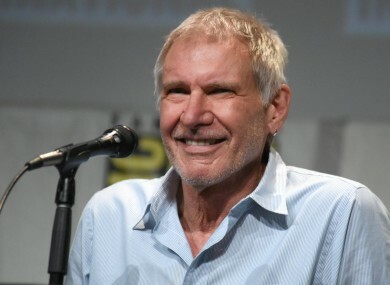 AUDIO HAS BEEN released of the conversation between Harrison Ford and the air traffic control tower at John Wayne Airport after Ford flew dangerously close to a passenger aircraft. Obtained by TMZ, the Hollywood star can be heard identifying himself as the “schmuck who landed on the taxiway” during the clip. The incident occurred at the Californian airport in February, when the seasoned pilot began his approach to the taxiway rather the runway. The 74-year-old Indiana Jones star told the control tower that he had been distracted by an airliner “in movement” when he turned to the runway, as well as turbulence from a landing Airbus. The staff member at the tower asked Ford for the details of his pilot’s licence, and the actor said he had to get it from his bag. It’s a big deal for me. Video that was recently released shows the plane piloted by the star suddenly and mistakenly flying low over an airliner with 110 people aboard. Email “Harrison Ford to air traffic control after near miss: 'I'm the schmuck that landed on the taxiway'”. Feedback on “Harrison Ford to air traffic control after near miss: 'I'm the schmuck that landed on the taxiway'”.